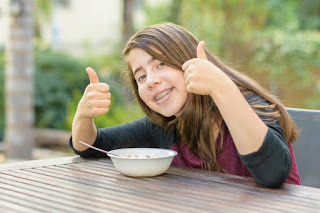 Brace Yourself: Braces-Friendly Recipe Ideas - Adelberg Montalvan Pediatric Dental PC & Orthodontics too! It happened, your child got braces, and now their life is ruined — their usual words, not ours, of course. A huge breakfast favorite and luckily kids with braces can still eat them! Change up the recipe for a more healthy alternative. TIP: Replace syrup with applesauce. Syrup is high in sodium, sugar, and carbohydrates — yuck! A great breakfast for brace-filled mouths on-the-go! Check out these delicious smoothie recipes and keep these tips in mind to keep your smoothie healthy. This can be prepared in a variety of ways with many different ingredients. Your child can enjoy this dish for lunch and/or dinner! Don’t forget: stay clear of hard vegetables that may hurt your child’s mouth. Acai bowls look good and taste even better! These delicious small berries are packed with antioxidants, amino acids, and essential fatty acids you didn’t know your child needed in their life! Be sure to try one of these recipes. A delicious dinner dish for kids and they will love to make it with you too! Keep this dish on the light side with whole wheat noodles and lean ground beef. This is a healthy alternative to actual ice cream — dairy, fat, and sugar-free! For more braces-friendly recipes and orthodontic tips, check out our Pinterest page!